Ocean Shores is all about the beach, and the Top Town condo located within Maris Stella is right in the heart of Ocean Shores. 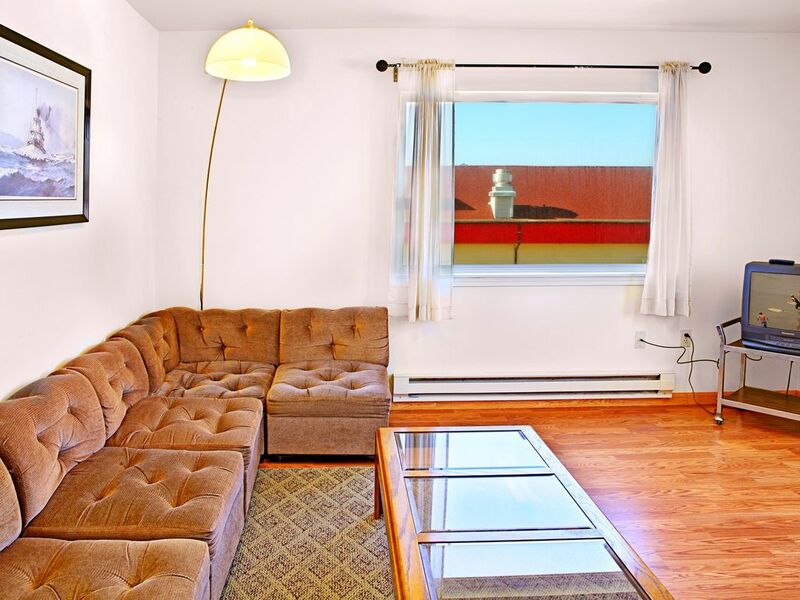 We love this two bedroom condo because it lets us and a few friends have some privacy, without being away from all the action. Bring up to six people, but note that two of you might be on the oversized sectional! There are queen sized beds in each of the cozy bedrooms. The condo comes equipped with a full kitchen, pots and pans, table ware, linens and towels, of course. After a long day out under the sun, you might not feel up to going to town for dinner. Instead, cook up a meal in the full kitchen or relax on the big sectional. Plus, because there are two floors, your group can have some separated space too. The views from Maris Stella are beautiful, but you do have to climb those stairs to get there! We guarantee it'll be worth the climb. This was a great condo for the value. Clean and well-maintained within walking distance of the Ocean Shores Convention Center, with easy check in and check out. WE very much enjoyed our stay. Very big and spacious. Was much more than a "hotel stay". A little Ocean Shores home away from home. Apartment was very clean and matched description. Walls are pretty thin, and I was worried our kids would annoy the neighbours but no complaints. Neighbours seemed friendly. The Good: Easy to find. Plenty of room. Room for improvement: Beds were only double, not Queen. Only 1.5 baths, not 2. No soap or knives, things one would expect in a rental. I general furniture was of low quality and a hodge podge of styles and types. Also, quite a walk to the actual beach, but you can drive there easily. We had a very enjoyable stay and would definitely stay again.